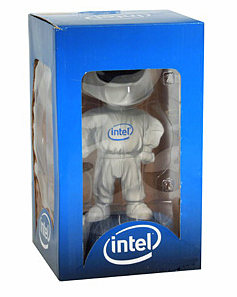 These Collectible Bobblehead Dolls featured the Intel BunnyPerson character, posed with hand out to hold a favorite pen. They are made of cast Polyresin and are 7" tall with a 4" base. 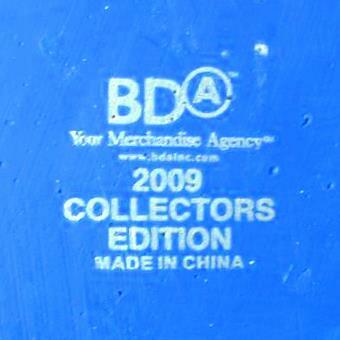 There were two versions of these Bobbleheads, both produced for Intel by BDA, Inc. 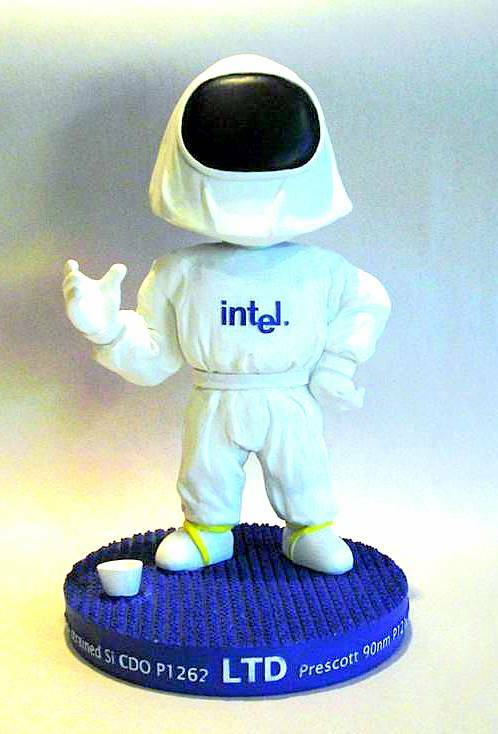 This version of the Intel Bobblehead doll had a personalized base with raised white lettering and was given out to key Intel employees to recognize their development work on the Prescott & Northwood (Pentium 4) CPU's. Reads "Prescott 2004 Nisi strained Si CDO P1262 LTD Prescott 90nm P121X Northwood". This original version features the old Intel "dropped-e" logo on the front of the BunnyPerson character. 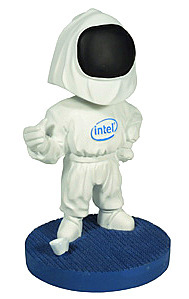 This Intel Bobblehead had an unmarked base and was part of a limited promotional bundle available to the public when customers purchased an Intel CPU from participating retailers. This version features the new Intel logo on the front of the BunnyPerson character.